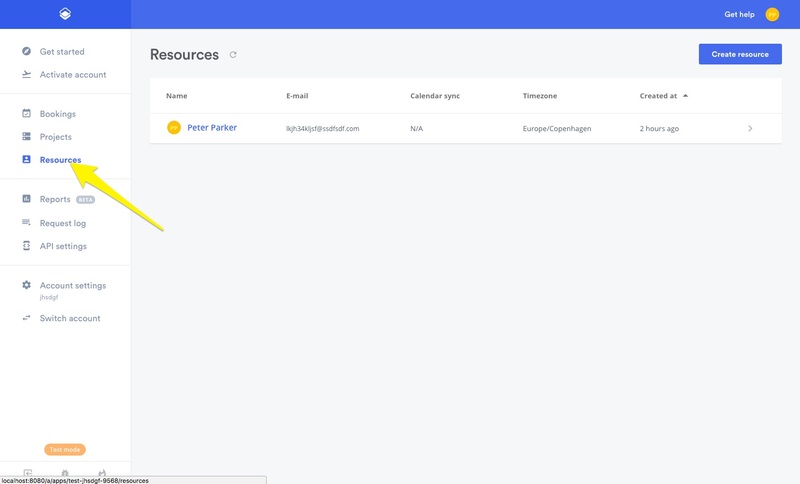 With a Team Project, your customers will be able to book an appointment from a group of service providers, without having to click around multiple landing pages; all relevant service providers' availability are presented in the same project. Since we are setting up a team, it would be nice to have at least 2 resources available for booking in our team project. So let's start by make two extra. If you already a few resources, you can skip this step. If not, navigate to your "Resources" section. Let's create two extra resources so we have a few available in our project. 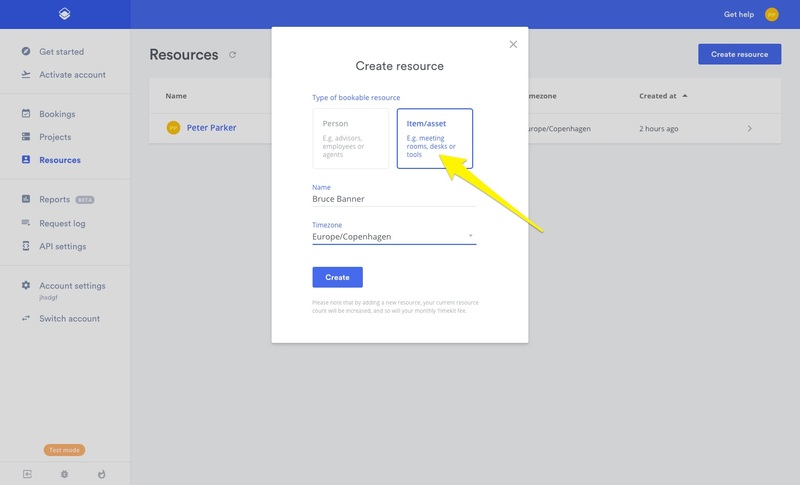 Start by pressing the "Create resource" button in the top right. For brevity's sake, we are going to create two Items/assets instead of two people. These two resources will be managed by us in our admin. So there is no need to create accounts. You can choose your own type of resource, just remember that 'Persons' require an email and verification. Go ahead and create as many resources as you would like. Once you have a few resources in your list, we are ready to move on to the next step. 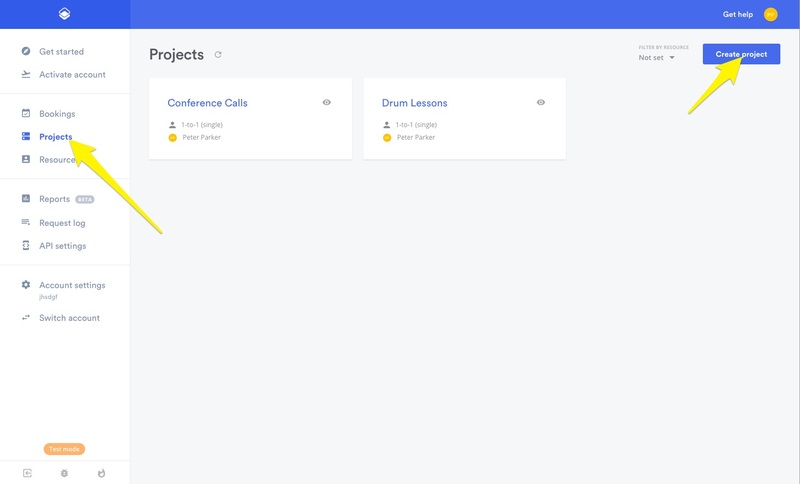 Next step is to create our project so we have a place to use our new and shiny resources. 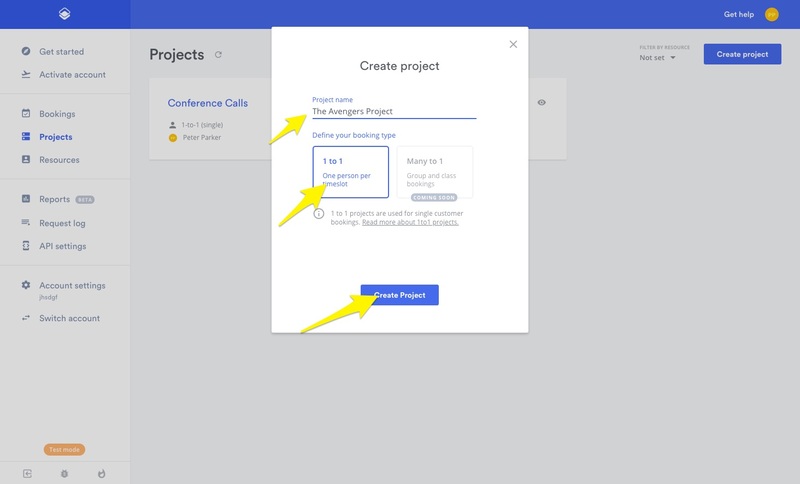 Press the "Projects" link and then press "Create project". Give your project a relevant name, choose 1-to-1 and then press "Create project". we choose 1-to-1 because we want potential customers to have personal training with a single Avenger at a time. If we wanted classes, we would probably opt for a many-to-1 type. Congratulations, you have now created your shiny new project. It is already configured with standard settings and can be used straight out of the box! We can configure our projects settings in many different ways. In this this article however, we will only look at "Bookable resources". 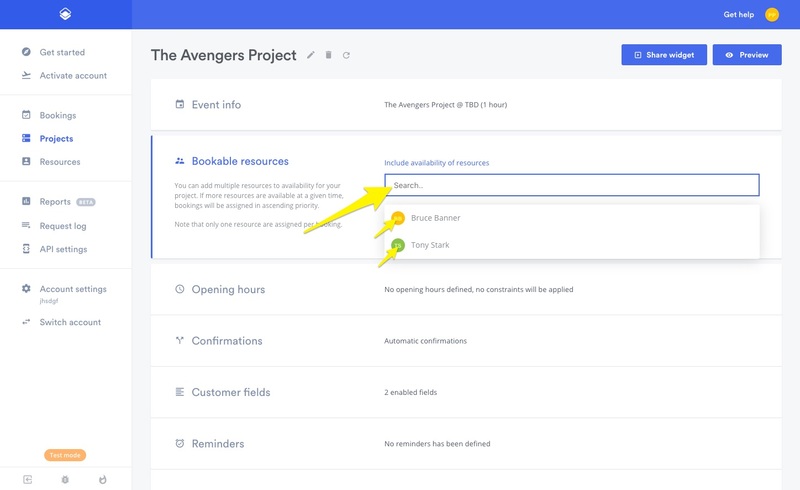 Press the "Bookable resources" tab to open up the configuration card. 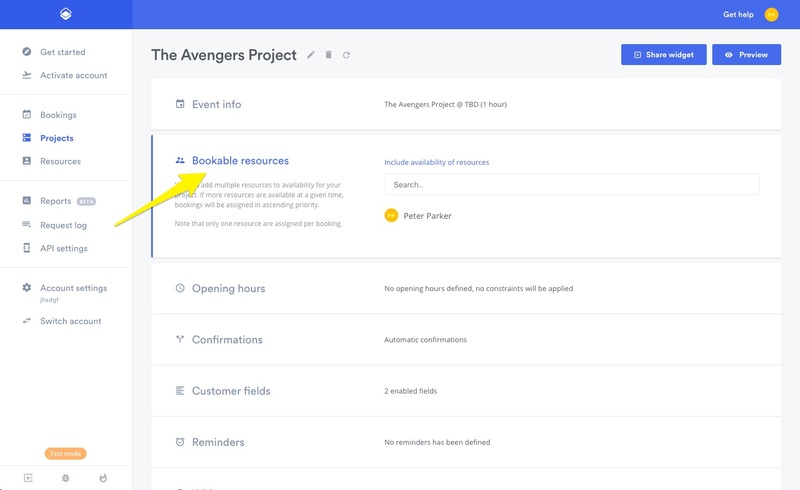 Now we can finally add our resources to our Avengers project. Press the input field called "Include availability of resources" to either search by typing their names or pressing on their name in the drop down. Great, our team is now assembled. 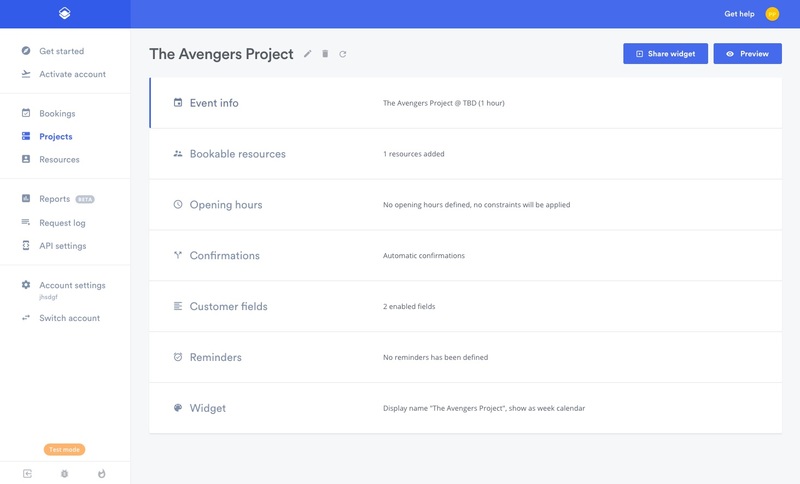 Anyone who uses this project's booking widget will now be assigned one of the three Avengers; Tony, Bruce or Peter, granted that their individual availability allows this. For example, Timekit cannot book Tony at 6pm if his availability is from 10am - 4pm. Read more on availability here. Press the preview button in the top right and book your personal training with one of the Avengers! Hurray! 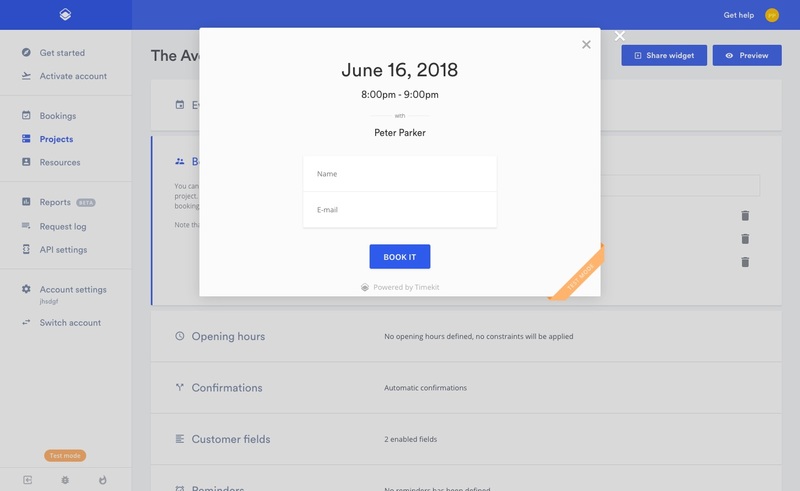 Now your customers can book an appointment from a group of people, without having to click around multiple landing pages. All relevant service providers' availability are presented in the same project.